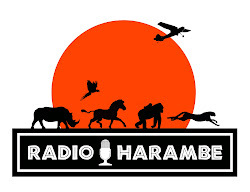 Recently, we did an episode of Radio Harambe on water. That's right, water. There is a lot of water at Disney's Animal Kingdom. 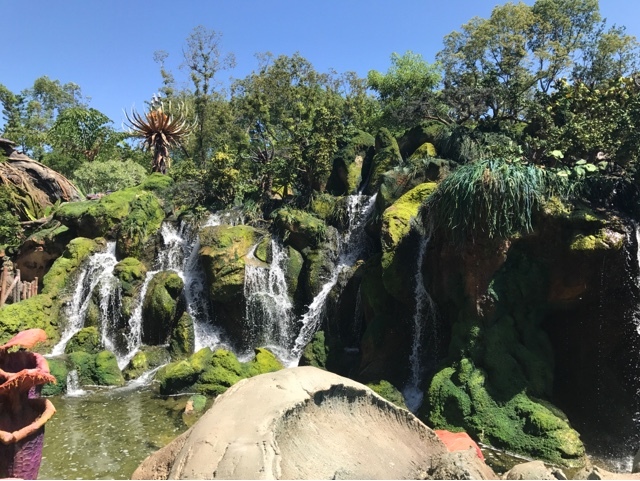 So I wanted to go through some of my favorite ways water is used throughout the park. 10. Pool at Flame Tree: The food has steadily gone downhill at the Flame Tree BBQ in recent years but this place will always be a great place to relax. It has an incredible view of the lake that sits in front of Everest and now hosts Rivers of Light (more on that later). But it also has this quaint little pool in the middle of some of its seating plazas. 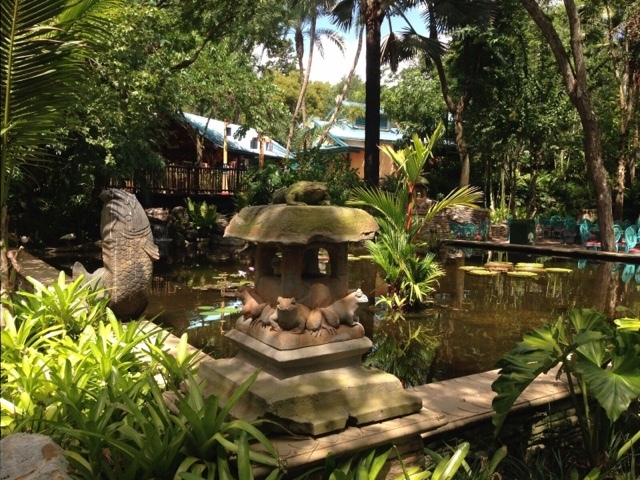 The statues lining the pond just add to ambiance. 9. Termite at Its Tough to be a Bug: It's Tough to be a Bug is an original attraction at the park and one of its most underrated. To be fair, however, as a 3D movie it can scare little ones. In fact, its easily the most scare inducing 3D movie at any of the parks. One of the big scares is when the termite comes out and talks about how he can spit acid. Well, spoiler alert, he spits on the audience. Water sprays in the back of seats shoot out a light spray of "acid." 8. Tiger Fountain: The maharajahs knew how to hunt tigers. 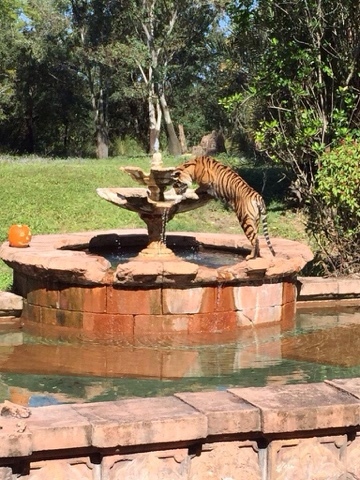 Unlike house cats, tigers love water. They love to swim and play in water to cool off in the hot steamy jungle. So the maharajahs built a beautiful fountain to attract tigers and shoot them from their hunting blinds. Now, tigers still come but the guests not hunters await the blinds. 7. Oasis Waterfall: I really love the aesthetics of this exhibit. 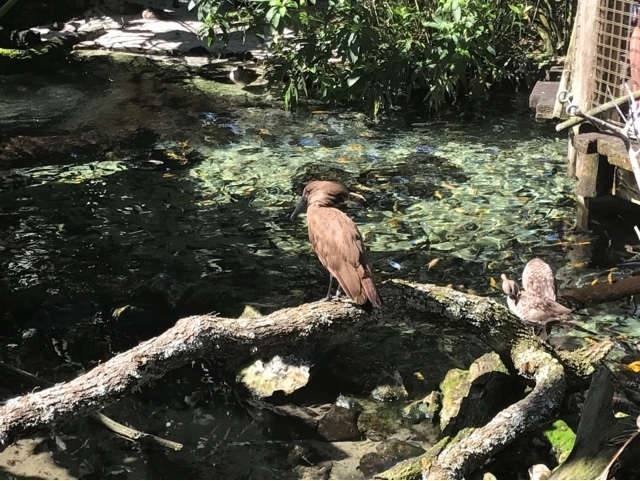 Located near the cave and bridge at the Oasis, water spills down into a pool filled with water fowl. The soothing sounds of the cascading water and the beautiful ducks and swans make for a calm, nice experience. 6. 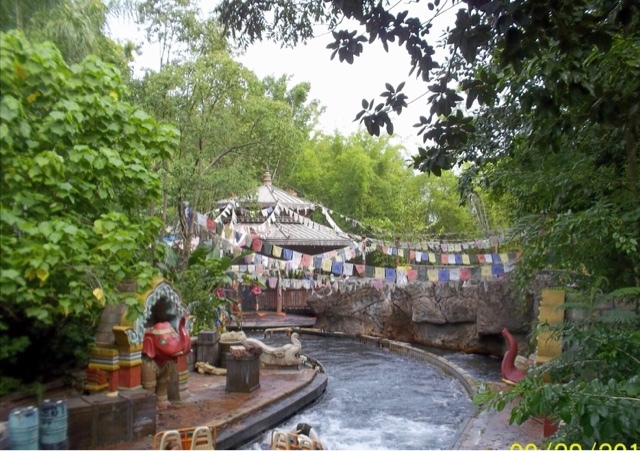 Water Cannons on Kali: At the opposite end of calm is Kali River Rapids a water rapids ride. Yes, the whole attraction is based on water. But here, I am highlight cannons. On a bridge near the end of the attraction, guests can operate water sprays to get those guests just a little more wet. It's particularity fun to drench family and friend while laughing maniacally. 5. 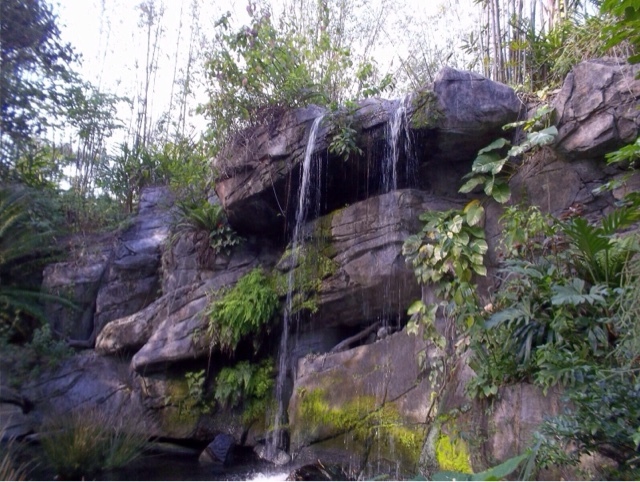 Gibbon exhibit: Water is often used as a boundary in animal exhibits. Many animals won't cross water, and if built on the slope couldn't get out if they went in. But few exhibits do such a great job on incorporating water into a beautiful aesthetic. It doesn't hurt that the gibbons and siamangs (both lesser apes and not monkeys) are a lot of fun to watch. 4. 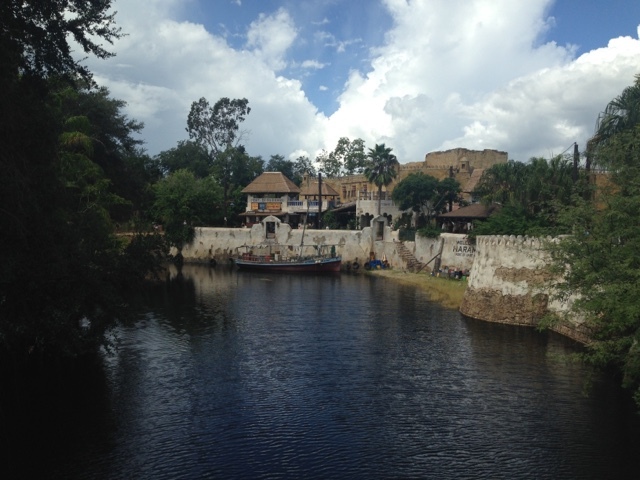 View from Harambe Bridge: I though about putting all of the Discovery River on this list. 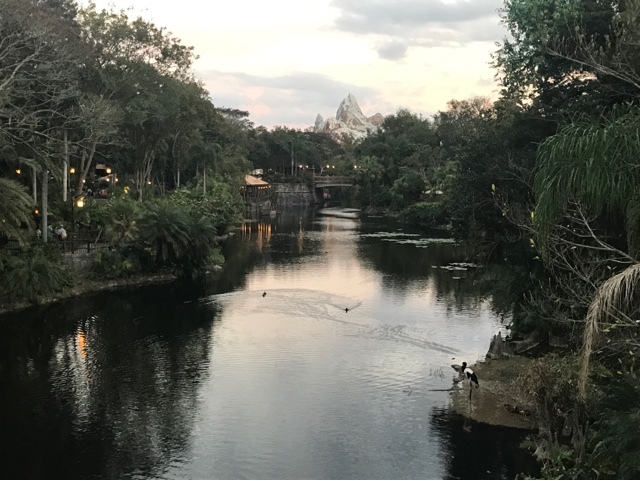 After all, there are many great spots to take in the river- from the deck of the Nomad Lounge, the path exiting Its Tough to be a Bug, the small seating area at Drinkwallah, but this one is my favorite, especially when the saddle billed storks are gracing its shores. 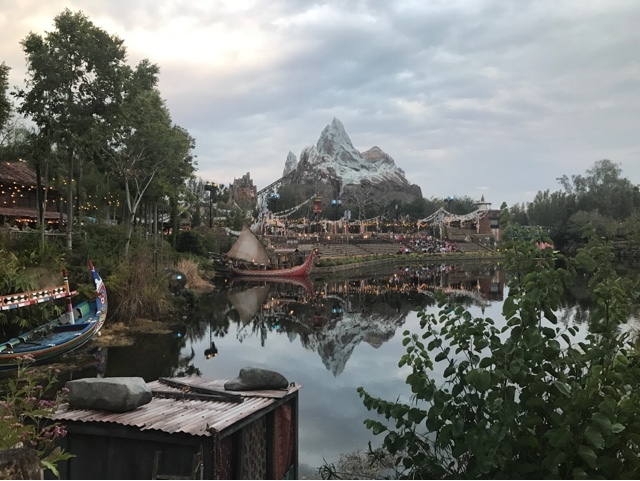 On one side is a great view of the new theater district of Harambe and the other side sports a terrific look at Everest with an aforementioned stork in the foreground. 3. 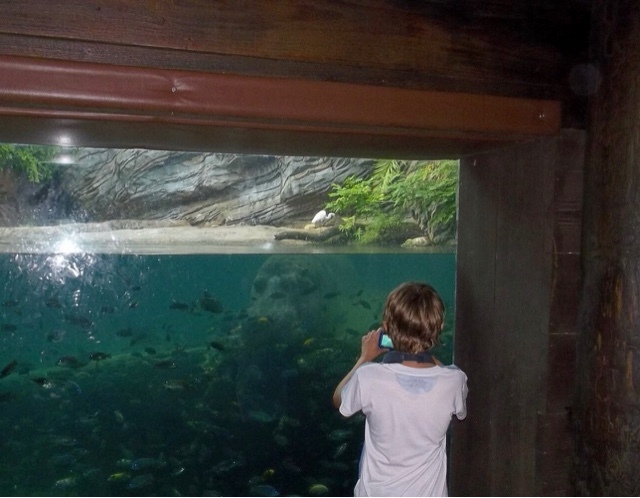 Hippo Pool: Few people get to see a hippopotamus under water. There are only a couple of exhibits like this in the world. As you can imagine, its takes a lot of water pumping to keep the water clear enough to view the hippo. And when they move around under water, they are a site to behold. It is a much better view then seeing their backs from the safari trucks. 1. 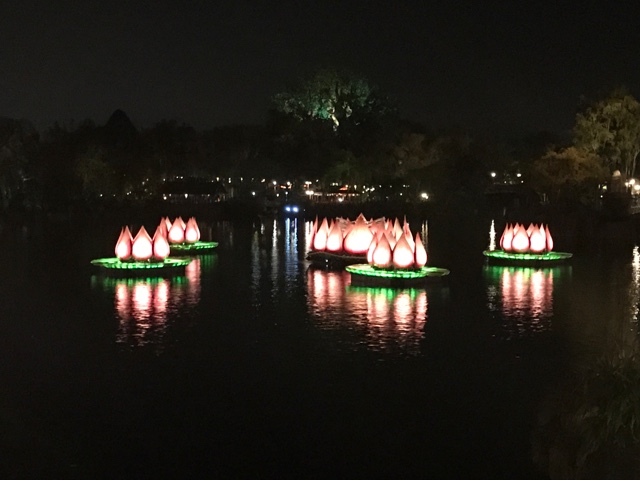 Rivers of Lights: I think the best use of water in the park is for the amazing new night time show, Rivers of Light, No matter what you think of the show, the theater is beautiful and its a great use of the large body of water sitting in front of Expedition Everest. The show also makes great use of lily fountains and water screens, not to mention the boats.